Quest on Ward is located in the heart of the city, short walking distance to Hamilton Transport Centre, the Skycity Casino and entertainment complex and Hamilton's bar and restaurant district. Quest on Ward has 28 studio and one bedroom apartments sleeping up to 3 persons), all of which have been decorated and furnished in a neutral, contemporary style. Each unit has a master bedroom with queen-size bed, a separate living room, a full kitchen and a balcony. 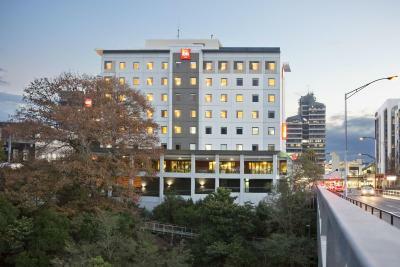 Novotel Hamilton Tainu is a 3 Star/Superior hotel, located in the heart of the city, on the banks of the Waikato River, short walking distance to Hamilton Transport Centre, adjacent to the Skycity Casino and entertainment complex and Hamilton's bar and restaurant district. The hotel has 177 bedrooms that provide modern comfort, a unique feeling of spaciousness and contemporary deco, an award winning restaurant and a lobby bar. 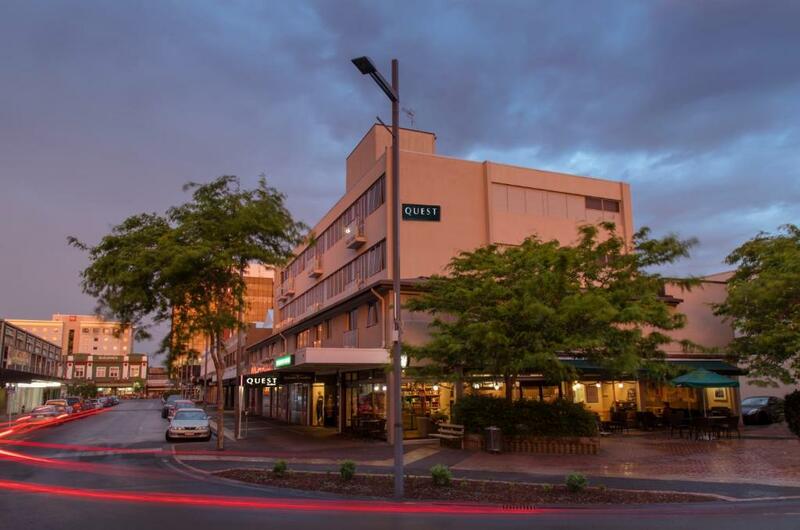 The Hamilton City Oaks (formally Le Grand Boutique Hotel) is a 3 Star/Standard boutique hotel in a heritage listed building in the heart of the Hamilton city. This property is located in Victoria Street and is in short walking distance of many restaurants, pubs, cafes, shops and SkyCity Casino and entertainment centre and the Waikatio River. All 39 modern ensuite guest rooms at Hamilton City Oaks are well equipped with essential amenities such as mini bar, coffee maker, wireless internet and a LCD TV to ensure utmost ease and luxury. Each room has high ceiling and Victorian decor with outdoor views to provide a comfortable stay. 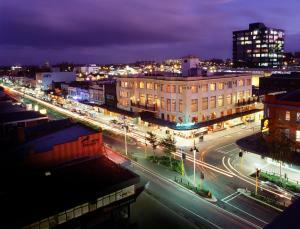 The Sudima Hotel Hamilton is a 3 Star/Standard boutique heritage hotel in Hamilton city centre. The refurbished Sudima Hamilton is in short walking distance of many restaurants, pubs, cafes, shops and SkyCity Casino and entertainment centre and the Waikatio River. The hotel offers clean, quality affordable accommodation, with ensuite hotel rooms and apartments with flat-screen TV with satellite channels, an iPod docking station and a radio. Some accommodation features a kitchenette or a fully equipped kitchen. The hotel offers a range of accommodation for both those on a budget and guests after something more luxurious. It offers 24-hour reception and room service, on-site parking and shared kitchen and laundry facilities. Sudima Hamilton guests can enjoy refreshments and hospitality at the in-house bar.